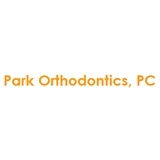 Park Orthodontics, PC (New York) - Book Appointment Online! Dr. Park is committed to providing excellent orthodontic treatment that is custom tailored to meet your needs in a warm and caring environment. Dr. Park recognizes that no two patients are alike and a patient's individual needs and concerns must be addressed and incorporated into their treatment plan. Dr. Park offers comprehensive treatment options for adults and children. Adult treatment options include: traditional metal and ceramic braces as well as Invisalign® clear aligner treatment, and Incognito® lingual braces. Dr. Park is sensitive to patient's concerns for comfort and discretion during treatment. Invisalign®, Incognito®, and ceramic braces are esthetic solutions to improving your smile. Orthodontic treatment for children include: traditional metal and ceramic braces, Invisalign Teen™ to correct and align the teeth. In addition, certain orthodontic problems are more easily corrected with early intervention which can eliminate the need for extractions or more lengthy treatment later. Our goal is to help people feel more confident about themselves while enjoying the benefits of a healthier mouth and bite. Hands down, she is awesome! She's finishing up my oldest son's dental work and will beginning working on my youngest next month! She's very personable and family friendly!